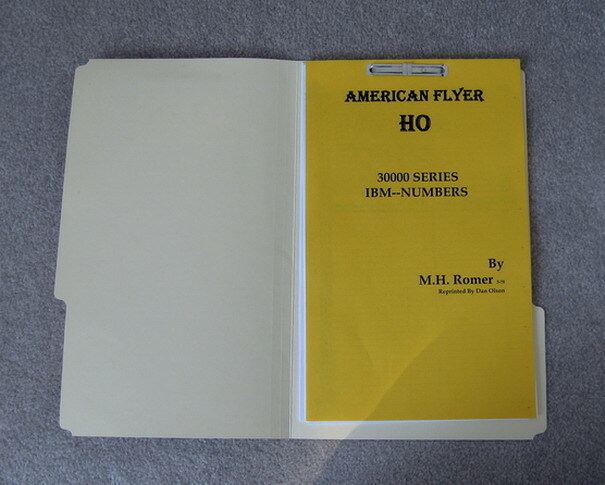 Maury Romer HO 30000 Series IBM Numbers - $25.00 : Olson Hobbies, Welcome To The Train Page! 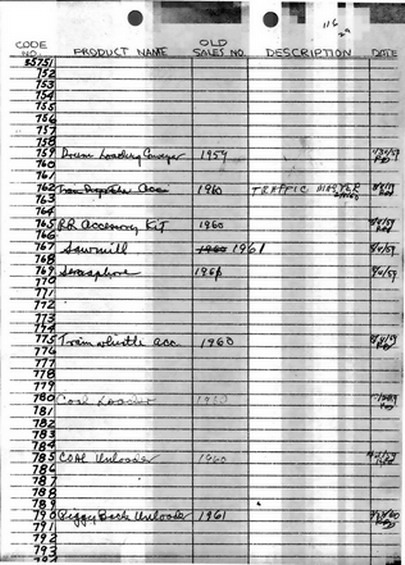 Copies of Maury RomerÃ¢â‚¬â„¢s American Flyer HO 30000 Series IBM Number listing.It is made from the original book I have once maintained by Maury Romer when he worked for the A.C. Gilbert Company. Every time an item would be introduced by the factory a manufacture number would be assigned, along with the description, and the date. 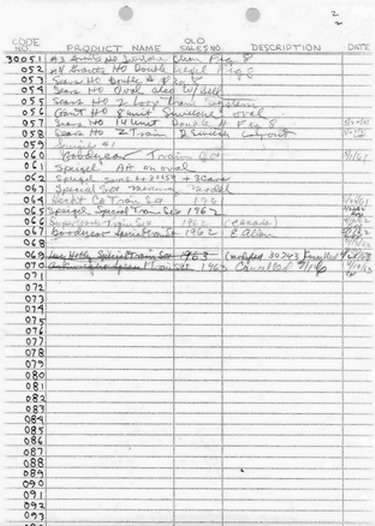 This also shows items that were cancelled and not put into production. I find these have been interesting to have for information and history of the factory numbering. I have had the Original book for a long time and have been asked to bring these back for offering. 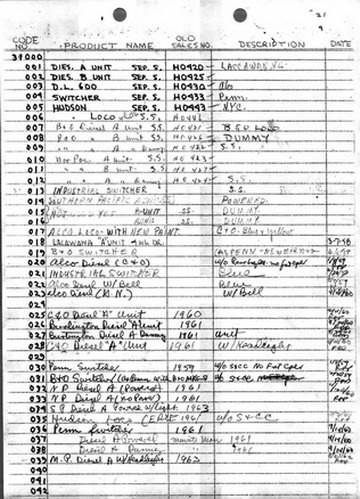 The copies are legible and you will enjoy looking through this. The pages come in a legal size folder for protection with a clasp at the top of the pages for a bind. This is approximately 32 pages. .
Will combine postage on multi-purchases.